Knots in your muscles- what are they? Everyone experances an uncomfortable knot in a muscle somewhere at somepoint. 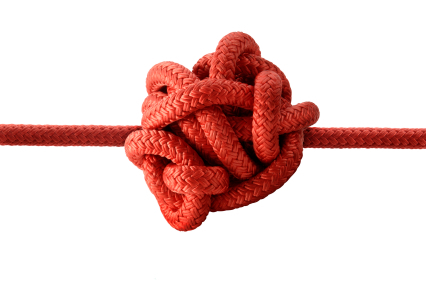 A knot within a muscle is actually a fibrous adhesion where muscle fibres have become stuck with waste products. This can cause disfunction within the muscle. The disfunction can cause a weakness in the area, increasing the chance of injury at the sight and surrounding areas. We can use massage to help break up the dysfunctional tissue, increasing the blood flow to the area. This increased blood flow brings more oxygen and nutrients to the area, therefore enabling the tissue to begin to repair itself. So what can you do to reduce the amount of muscle knots you get? Firstly a good stretching and foam rolling routine is a must for someone who regularly exercises. Following that with regular sports massages to help recovery and reduce the chance of injury occurring. Lastly ensure you give yourself sufficient amount of time to recover from the training you are doing!